In Hollywood, where galas are an everyday occurrence, you are bound to find Dr. Iman Sadri front and center, microphone in hand, interviewing the stars sashaying up the red carpet. 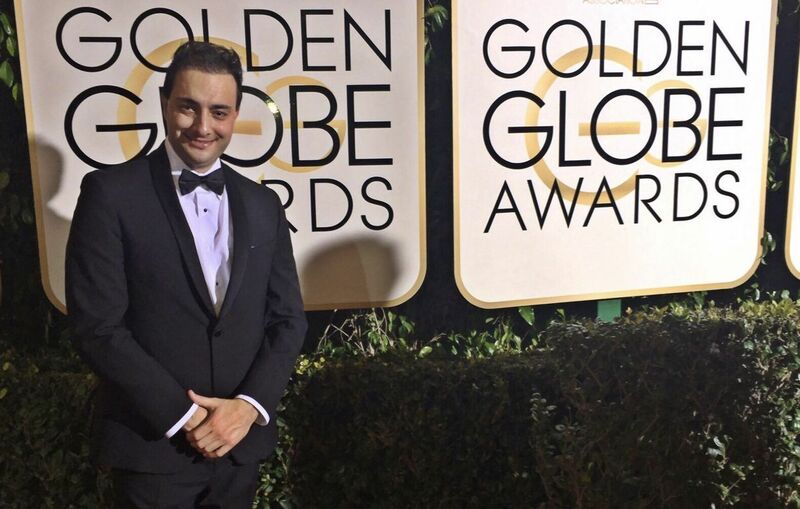 Dr. Sadri is well acquainted with a huge number of Hollywood celebrities. 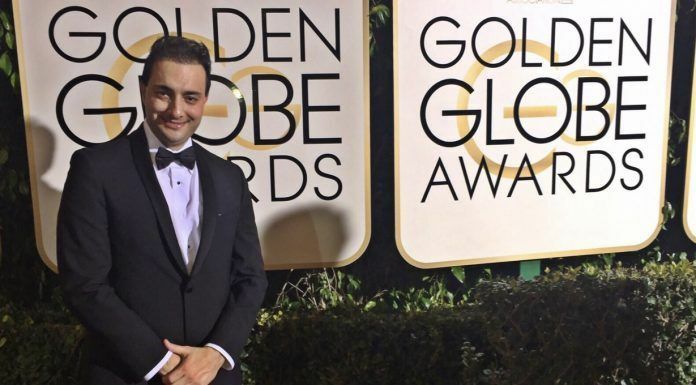 A dentist by trade, he is also the founder of PersianObserver.com, a website dedicated to bringing Hollywood to the Iranian Community of Los Angeles and beyond. Kayhan Life had a chance to interview Dr. Sadri. Q: During the course of your career you have interviewed many celebrities. Who have been some of your favorites and did anyone surprise you with an unexpected answer? 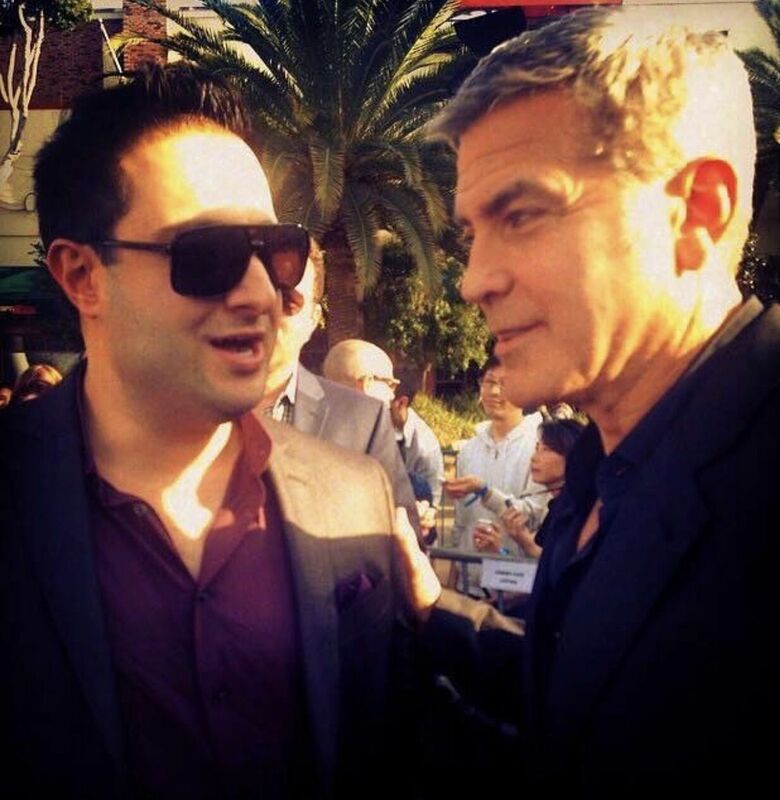 With George Clooney at the Tomorrowland Disney Premiere. I really enjoyed my time with Lang Lang – he played piano during the opening ceremonies of the 2008 Summer Olympics in front of a billion people. It was also insightful learning from Shaun Toub, who is the most prolific Iranian-American television and film actor in Hollywood history. I interviewed Martha Stewart during a taping of her daytime show. I learned how she compartmentalized her time with her many ventures. I have had great conversations, recently with Sean Penn, discussing his thoughts on Iran; Christian Bale and the process of how he beat out so many young actors to get cast in “Empire of the Sun;” and one of my favorite artists – Fabian Perez – and his story of how the Pope contacted him for an official portrait. At “The Promise” film premiere it was interesting to learn how Shohreh Aghdashloo remembered my Mother, Mahvash Sadri. In 1995 Shohreh and her husband Houshang Touzie were performing a play in Sacramento and were guests at my parent’s house. I was in the eighth grade and did the lighting for one of their shows. 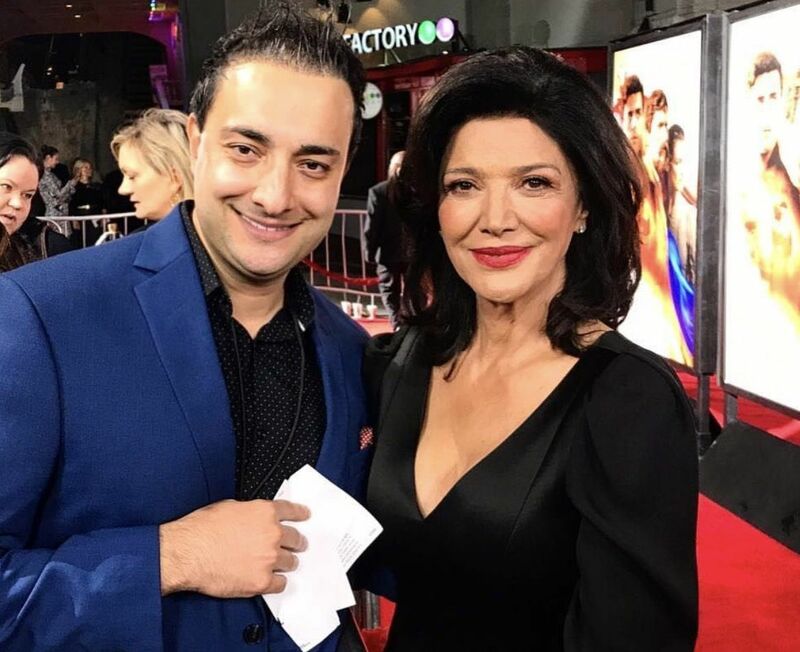 With Shohreh Aghdashloo at The Promise Premiere. 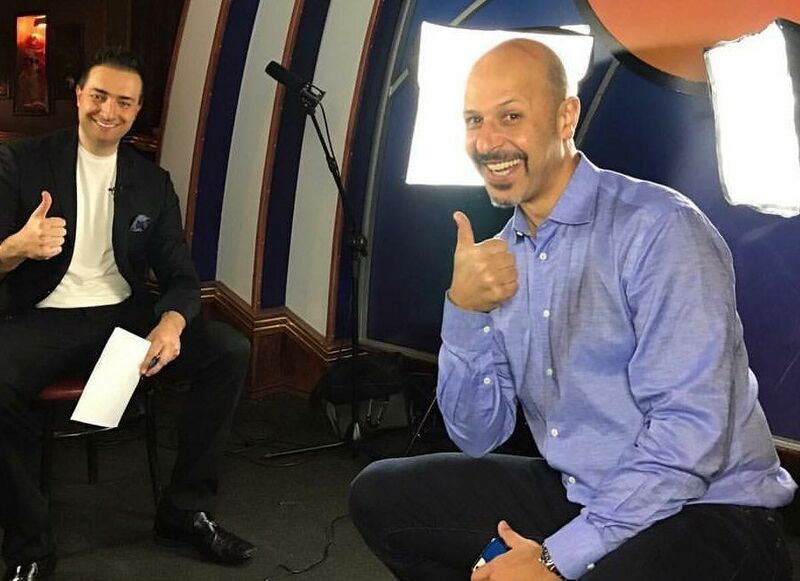 With Maz Jobrani doing a taped video interview for The Persian Observer. 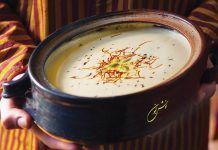 Q: How did you become acquainted with so many Hollywood stars and VIPs in the Iranian-American community? A: I first started getting credentials to film events on behalf of (now-defunct) Persian blogs, which I requested for specific films. I began building relationships with the PRs representing the film distributors. Also, a one-day trip to Comic Con gave me the opportunity to meet many publicists in entertainment. I felt that there was no news outlet in the Persian community that was attending movie premieres, film or sports events in the U.S. I would see outlets from other countries at red carpet events or film events, but never a Persian-themed or Iranian news outlet, despite the hundreds of thousands of Iranian Americans in Southern California. There would be outlets for Vietnamese- Americans, Armenian-Americans, Filipino-Americans, etc. 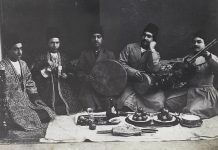 I created The Persian Observer to try and fill this void in the Iranian-American community. I developed my contacts in the Iranian community in 2013 while looking for a networking event for Southern California dental professionals. Realizing the absence of one, I created a networking organization called Marquee Professionals Mixers – which first started out as ‘Doctors and Dentists Mixers’ – and that has since hosted over a dozen networking events for professionals, mostly in the Iranian-American community. I have come to meet many professionals within the Iranian community from these networking mixers that I host. Q: Your website The Persian Observer is very popular within the Iranian community and has also become a source of breaking news in the film industry. Can you tell us more about the website and walk us through your routine in landing the news scoops? 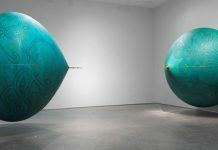 A: I look for subject matter that has not been written about, that should be written about – especially pertaining to influential Iranians or the Iranian community at large. Like how Barry Navidi was a producer of the Al Pacino films “The Merchant of Venice” and “Wilde Salome.” I landed on the name Barry Navidi simply by reading about Al Pacino, in his IMDB filmography. Reading about Susan Sarandon led me to learn of Maryam Keshavarz, who is the director of Sarandon’s next film, “Vulture Club” also co-starring Matt Bomer and Sheila Vand. 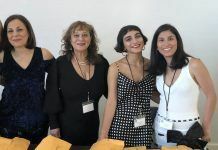 I started The Persian Observer because I felt there was a need to profile and write about certain individuals in our community, whose story needed to be shared – either to gain further notoriety for them or those who’s work is impactful in society. I created it as a tool for me to network with and to gain insight into the wisdom, lives and stories of people whose work I admire. 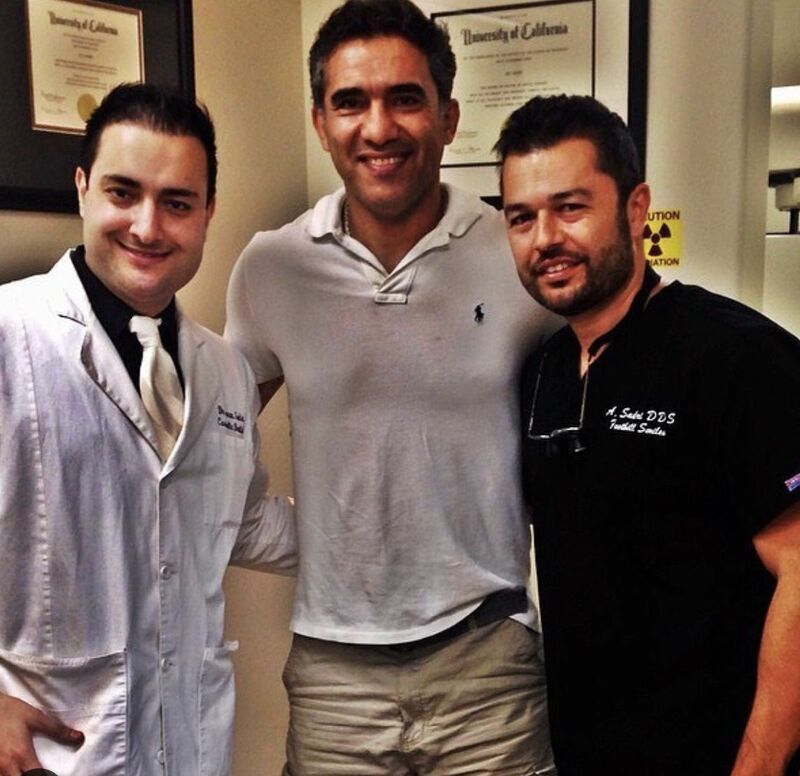 With Ahmad Reza Abedzadeh, the 1998 World Cup Goalie for Iran and Dr. Ali Sadri at Foothill Smiles. Q: What attracted you to dentistry and can you tell us more about your practice? A: I decided on dentistry as a career for multiple reasons. It was personal to me. I had braces late in life, compared to the national average age of 11. Getting them off at 20, while in college, gave me a transformative feeling that I had never experienced before. Going from hiding my smile my whole life to wanting to put it on display for the world was a life-changing experience. By improving my smile, I no longer suppressed the outward manifestation of my own internal joy – something I realized years later that I did subconsciously, by not smiling in childhood and adolescence. I wanted to ultimately have the ability to give that transformative effect to as many people as possible, in the many ways that it’s possible to do so in dentistry. Growing up, I realized that I had a talent with my hands. Making sandwiches at my parent’s Subway stores in Sacramento for over a decade, playing four hours a day of basketball from age nine, dribbling a basketball, all day, every day, and playing thousands of hours of video games made me even more skilled with my hands in preparation for dental school. Also, I was aware that society valued dental care. It was distressing that a newspaper – filled with abundant and useful information — only cost $2 yet if someone broke one tooth it would cost $1200. Society valued dentistry 545 times more than a newspaper. At least that’s how I saw it. Also, I love science, creative business pursuits, and people – which are the core of dentistry. 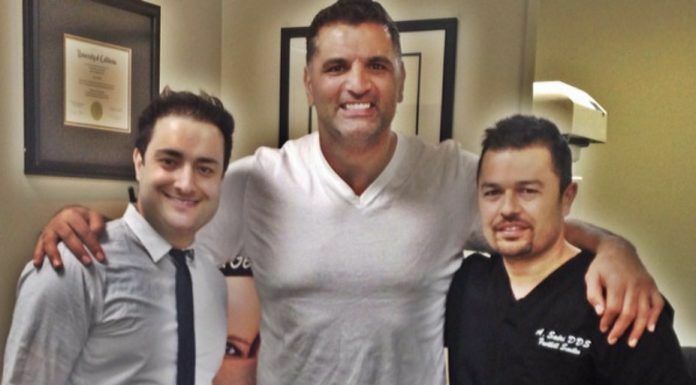 I currently maintain a private practice in Orange County with my brother Dr. Ali Sadri at Foothill Smiles. I also rent space in Beverly Hills, specifically focusing on Core Teeth Whitening, and have been promoting this service specifically with high profile individuals I meet through my blog. We also are in escrow with a practice in East L.A., catering to the Hispanic market – I do speak some Spanish. 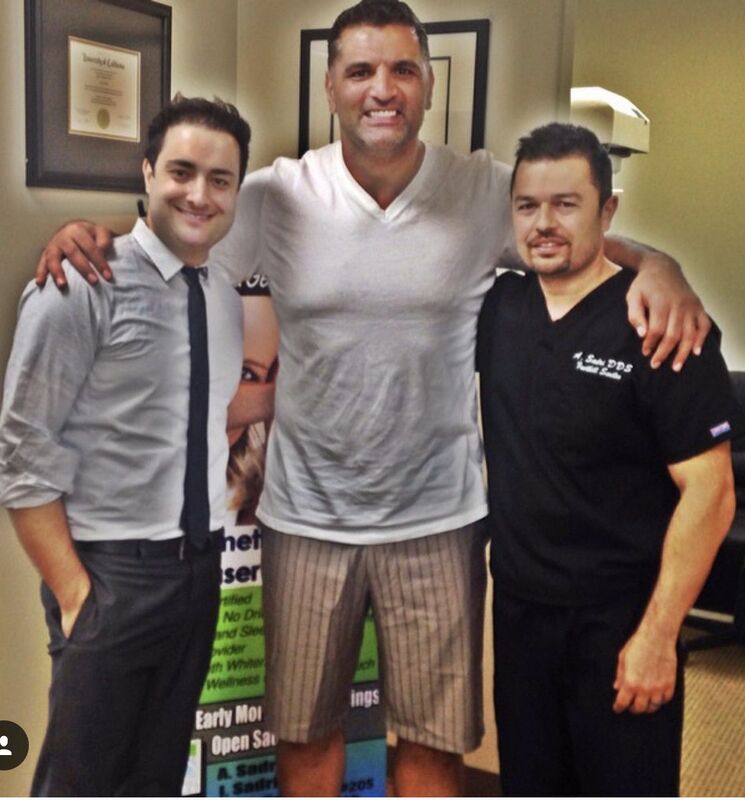 With former NFL Player and the first Iranian in the NFL, Shar Pourdanesh and Dr. Ali Sadri at Foothill Smiles. Q: Besides dentistry and running the Persian Observer, what else interests you? A: I am working on a children’s book entitled FaraMoosh : The Forgetful Mouse, which I finally copyrighted and trademarked. After much time editing and rewriting it, I have decided to self-publish it. Q: What is your family background and what is your relationship with Iran? A: I was born in Tehran in 1981. My parents, two older brothers and I fled Iran in late 1982 in the incipient phase of the Iran-Iraq War. We moved to the Bay Area living in Redwood City for several years. My family and I then moved to Sacramento in 1985 and that’s where I lived for the next 18 years. I obtained a B.S. in Psychology from U.C. Davis in 2003. Following some time off after college and a short stint at a now defunct newspaper in Sacramento, I went on to the NYU College of Dentistry, and graduated in 2008. A few years after I moved back to California – where I now live, in Irvine. I have never been married and have no children. 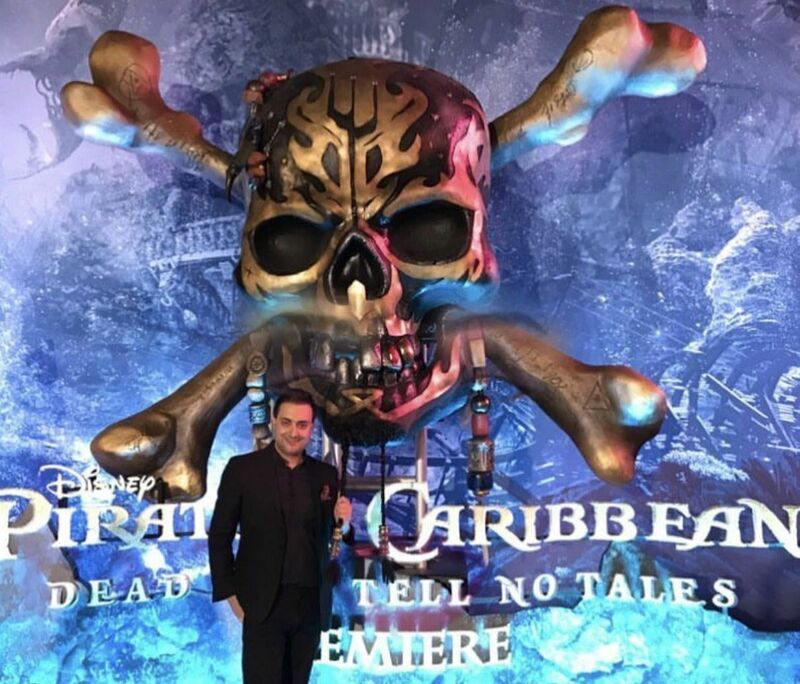 At the Pirates of the Caribbean : Dead Men Tell No Tales Premiere in Hollywood. After fleeing Tehran with my family in late 1982, aged one and a half, I have gone back to visit twice, the last time being 2008. I hope the new generation of Iranians recognizes their glorious past and internationally acclaimed and lauded history — dating back to Cyrus the Great and the vastness of the Persian Empire in its heyday. I hope people recognize that in the 1970’s Iran was a beacon of power in the world. More than anything, I hope the people of Iran can get the social freedoms and economic windfalls that they so desperately need. There is so much repressed creative talent, brainpower and entrepreneurial energy in the young population, which makes up the majority of the 80 million people in Iran. And now with the currency crisis, it’s a matter of survival for the countless millions who are impoverished, with little to no fiscal hope and limited freedoms and opportunities.